If you go to a Chinese style dim sum restaurant or Japanese style conveyor belt sushi restaurant, you probably would order a lot of dishes due to the small size of each. So, when the bill arrives, how do you know the charge is correct? How can you estimate the cost before hand so that you would not be surprised when you get the bill? 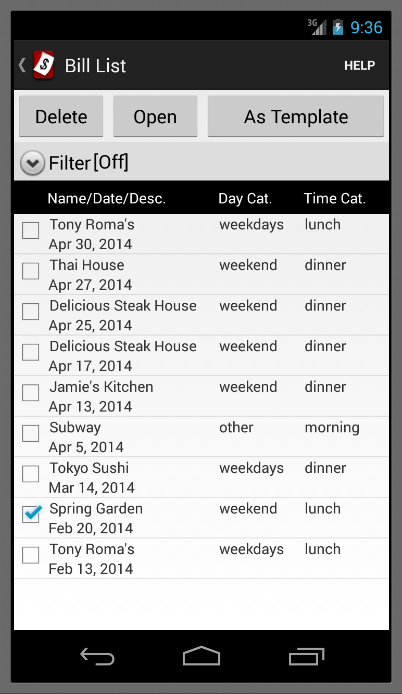 This Meal Cost application is a simple and straight forward tool for you to calculate the cost of your meal. While it is useful for meals that involves a lot of dishes, it is also useful to keep records of when, where and how much you have eaten out. 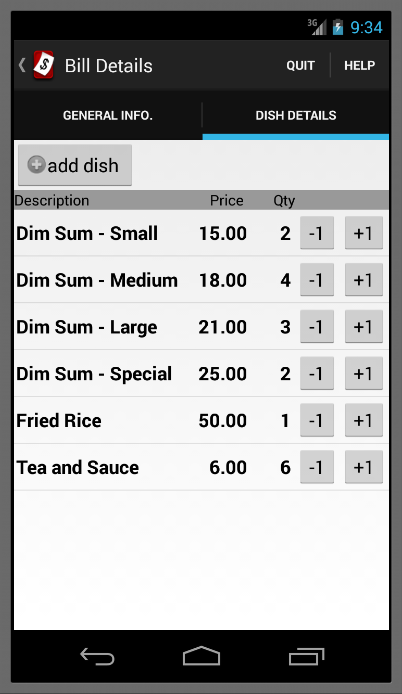 Calculate cost of a meal. 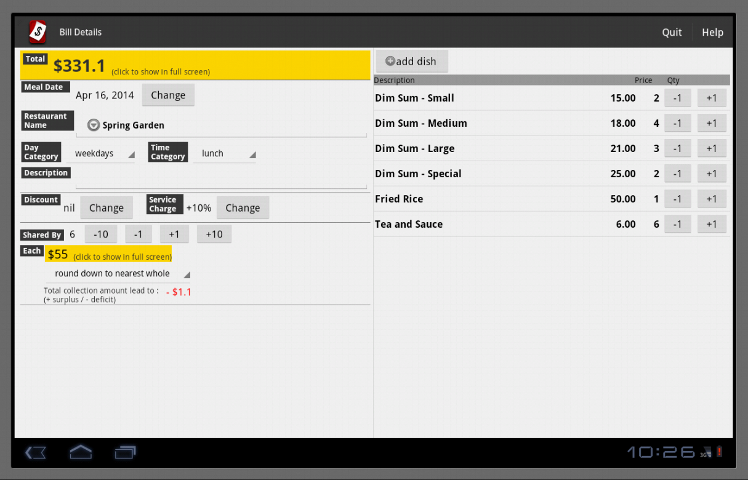 Service charge rate can be specified. Discount rate can be specified. 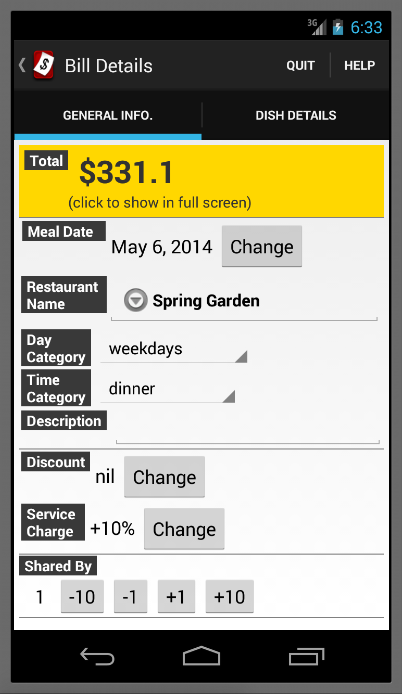 Calculate cost of each diner. Bills can be saved for future reference. 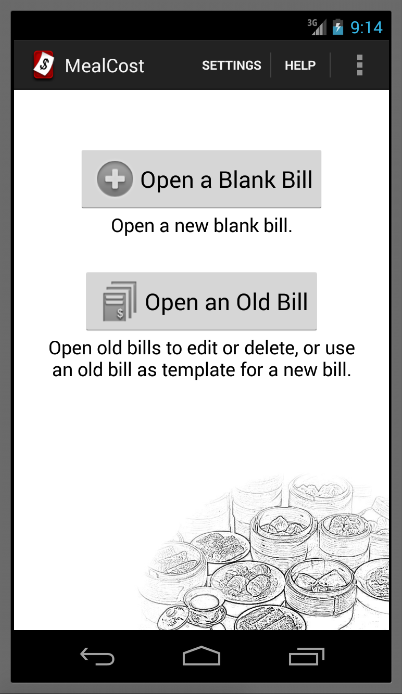 Bills can be retrieved and used as a template for new bill.